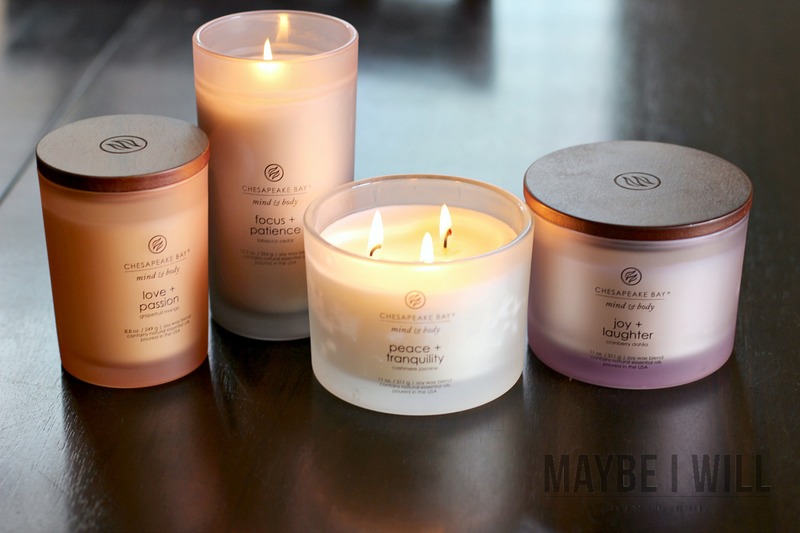 This post is brought to you by Chesapeake Bay Candles, opinions expressed are 100% my own. Just 5 Minutes of Meditation daily can change your whole day! Take it from an ex-perfectionist and list making junkie. When was the last time you really sat and enjoyed a moment of quiet, savoring the moment and allowing yourself to relax and not think about a dang thing? 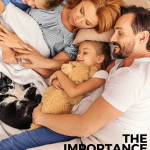 No worrying about how your kids are doing, no worrying about your job, or how you’re going to make that payment. You just sat and enjoyed the precious gift that silence can be. If you’re like me you might be thinking – sounds nice but nobody got time for that. I am a recovering overachieving type A personality. I tended to put more faith and trust in my ability to get stuff done. My days use to be filled with endless lists and organized tasks. To sit for five minutes, in my opinion, was a complete and utter waste of my valuable time because as we have been told time is money, right? My time was stretched so thin that taking a potty break was my only “quiet time” and I even tried to make that as efficient as possible. I realized that all this running was getting me nowhere. I was left at the end of the day exhausted and left feeling like I could have accomplished more, I could have pushed harder. My accomplishments throughout the day never seemed to be enough. It was a vicious cycle that I needed to stop. My days look very different now. Instead of waking, working out, eating, getting kids out the door, and immediately sitting and working for the remainder of the day until my kiddos came home- all that has changed and for the better! I can honestly say my days ARE more productive and more fulfilling! It all started with Meditation. Instead of heading straight to my computer to start on an endless to-do list. My days start with absolute stillness and quiet. By starting my day with 20 minutes of meditation I clear my mind of all distractions, I focus on my breath and that is all. Thoughts come and I push them away and focus back on just my breath. After 20 minutes I am refreshed and my mind is focused and calm. 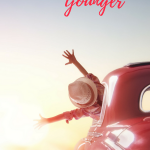 I then pull out my notebook and ask myself – What can I accomplish today to help me move my business and blog forward, how can I serve God, my family. and anyone else? With this new focus, my day has more value and more focus – it is based on my values rather than some lame today list. This a very short list of the amazing benefits of meditation! But here’s the best part you don’t have to take my word for it! Try it for yourself and see how magical even just 5 minutes of complete luxurious quiet can be! I am obviously a HUGE and strongly converted fan of meditation, but it took me a bit to get use to sitting there not doing anything… So be patient with yourself! The more you do it the more comfortable you’ll become! 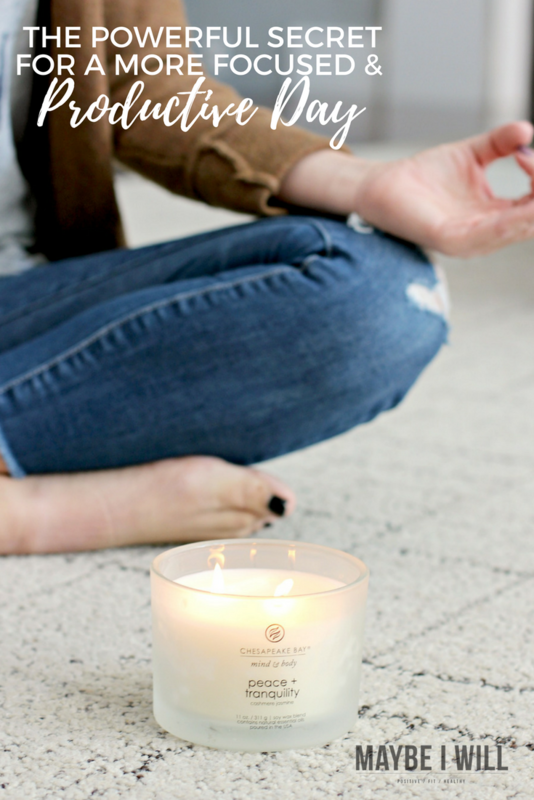 Another fun tool I recently discovered that REALLY helps me to make the most of my meditation practice is the brand new Mind & Body Collection from Chesapeake Bay Candle. 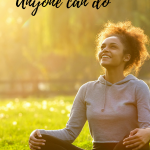 They have several different scents to help you really focus on your intentions for your practice and to help set the tone and mood throughout your day. Joy & Laughter – Perfect for setting the tone for time with my family! Love & Passion Perfect for some quiet time with your significant other! 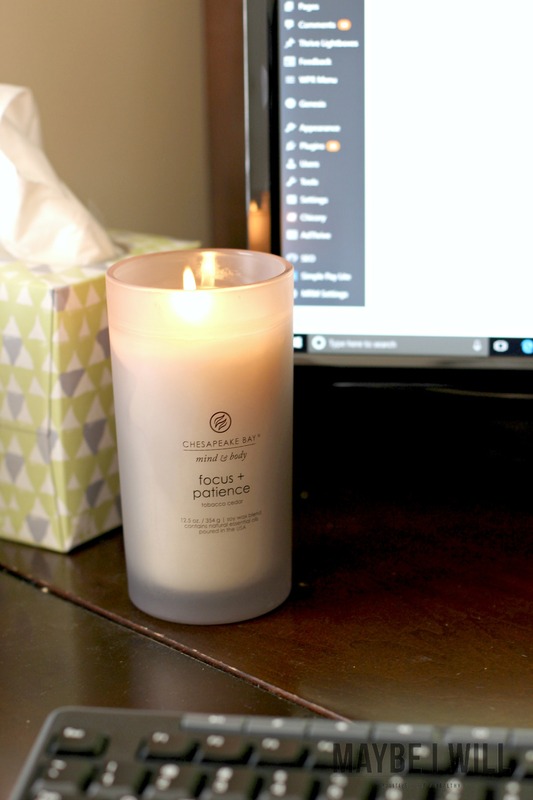 Focus & Patience – Perfect for typing posts out such as right now, meditation,… and also works great for helping my kiddos to focus during homework time. I love this quote that the CEO shared explaining her inspiration for the new collection. 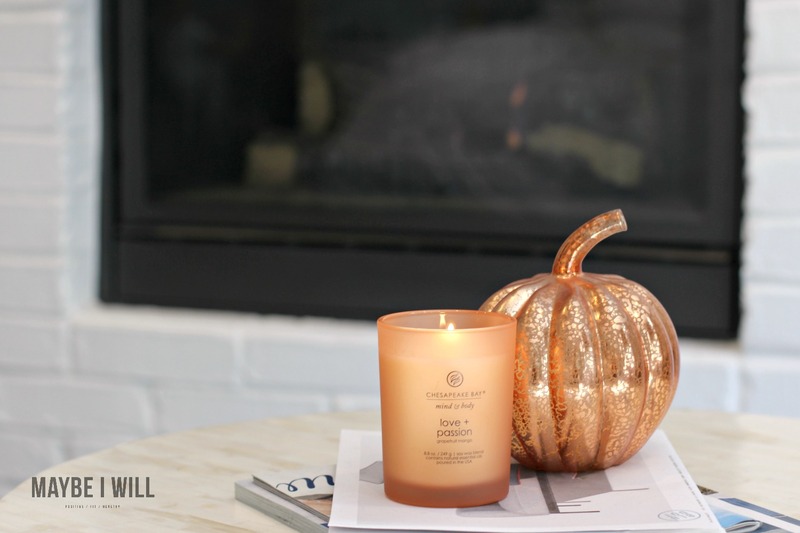 “With the rise of the new technologies our lives have become super organized,” said Mei Xu, co-owner, and CEO of Chesapeake Bay Candle. “But we are not happier. We need to slow down and find time for ourselves. I wanted to design a home fragrance collection that helps people to achieve a state of balance and peace inside, so they can share their joy and 1energy with others. 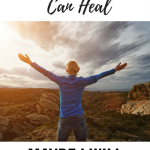 Take it from this recovering Type A personality, when I truly let go of my need to control and be in control I have been able to find an inner peace and confidence that I have never felt before. I often kid around a lot and I do have a wicked and awesome sarcastic wit that can be quite dazzling, but the greatest gift I can give you is the gift of silence. So take 5 minutes and give meditation a try it can be a game changer if you let it, it was and has been for me. « 7 Immune Boosting Foods for Kids! Haha love the meme! Everyone has time to try at least 5 minutes of meditation a day. I’ve been working on it and it’s immensely helpful for starting my day on a peaceful note!